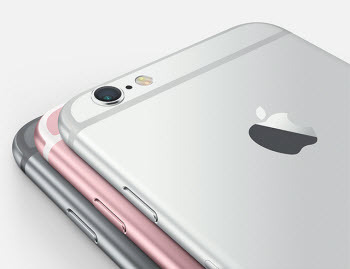 12-megapixel iSight camera is iPhone 6s' key selling point. But iPhone 6s camera not working has been a frequently-complained problem ever since. Similar to "Bendgate" that plagued the biggest than ever iPhone 6/Plus, "Heatgate" is revealed on the iPhone 6s. 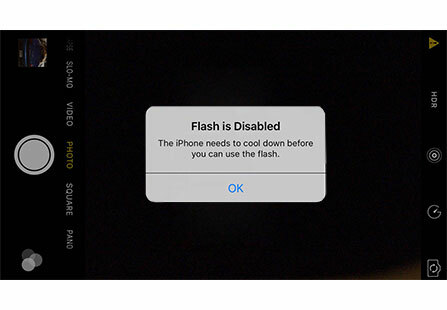 The overheating problem causes iPhone 6s camera flash stopped working until the phone cools down. Oops! This is not an isolated incident, and there are more iPhone 6s camera problems. The problem also happens on later iPhones. So here let's stop crying and learn how to fix iPhone 6s camera freezes or crashes problems. But before you fix the iPhone problem with camera, backing up your iPhone 6s/plus camera roll photos and videos is essential. You cannot guarantee that your memorable camera photos or precious recording video collections will not lose by accident during the problem solving process. An excellent iPhone backup software, MacX MediaTrans is highly recommended for fear of this situation. It is capable of backing up all your iPhone data, including photos, music, videos to Mac without any hassle in super fast speed. As a test shows, only 8 seconds are needed for 100 4K photos to transfer from iPhone to Mac, thanks to the Intel QSV Hardware Acceleration tech. 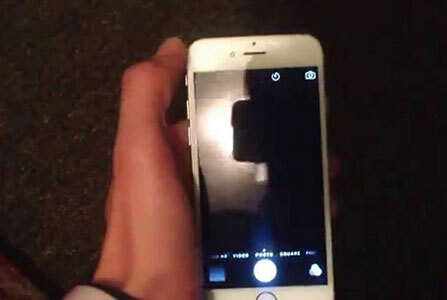 Some users complaint about the iPhone 6s overheating issues, making the iPhone 6s camera flash won't work. a message pops up, "Flash is disabled. The iPhone needs to cool down before you can use the flash." Improved hardware(faster A9 chip) that generates more heat may cause the iPhone 6s/7/8/XS/XR camera problems. The basic solution is to cool down the iPhone 6s/Plus. Below is the method to solve iPhone 6s/Plus overheating issues that lead to iPhone 6s/Plus camera freezes. 2. Shut down background apps you are not using. 3. Turn off automatic updates. Head to Settings > iTunes Store & App Store > automatic downloads > updates. 4. Stop the movie you are watching and shut down any apps you are using. 5. Stop playing games or watching movies while the phone is charging. iPhone 6s rear camera stopped working!!!! Got the new iphone 6s plus delivered today & to my dismay, there's already issues with the rear camera. When I try to open the camera app, the camera previews would sometimes appear for a brief second, then goes blank/black. Front camera works fine though. 1. If the iPhone 6s/plus camera won't work, first check out the percentage of the phone. The camera would fail to work when the phone is at low power. Check if there's something blocking the camera lens. 2. Rebooting your iPhone 6s always helps in iPhone 6s camera black screen problems. Resetting your iPhone 6s to factory setting also works most of the time. Head to General > Reset > Erase All Content and Data > Erase iPhone to reset your iPhone 6s/Plus. and the iPhone 6s/Plus camera not working should be solved. 3. If the iPhone 6s camera still fails to work, go to Apple Store and have the new phone examined, or contact Apple Care to ship the phone back. Hello my iPhone 6s Plus Camera freezes, it's not the first time, but 3rd time, is this hardware or software. Anyone else with this issue. Thanks in advance. Reboot your iPhone 6s. It always works. You can deal with the iPhone camera stopped working by resetting your iPhone 6s/Plus. Go to Settings, Tap on General > Reset > Reset All Settings. After that, restart the iPhone camera app. Is anyone experiencing camera focus problems with iPhone 6s? I'm experiencing the same issues too now. Appointment this coming Thursday. I called Apple and the gentleman on the phone stated no one was experiencing this issue. - from forum. 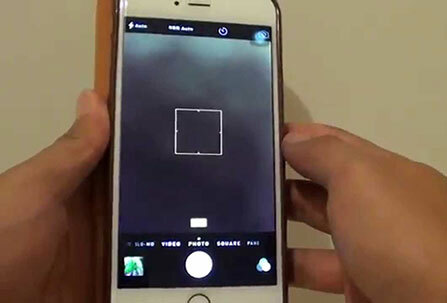 iPhone 6s camera not focus is a common issues revealed by users. Follow the solutions below to fix iPhone 6s won't focus. 1. Restart your iPhone 6s. A simple restart solves plenty of iPhone 6s/7/8/XS/XR camera not working problems, bear it in mind. 2. Try removing the bumper when photos are blurred/wobbly, and the iPhone 6s camera does not focus. 3. Press the camera button until it is focused. 4. Reset the iPhone 6s/Plus to Factory settings. 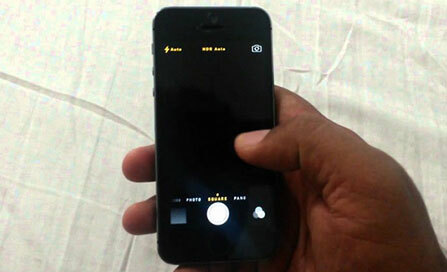 This step should fix iPhone 6s camera not working problems, like camera can’t stay focused, black screen, iPhone 6s camera flash won't work, etc. If you're running on a 16GB iPhone 6S/Plus, you may always get the iPhone 6s camera not working problem with an error saying "Cannot Take Photo; Manage Your Storage in Settings." So annoying!! 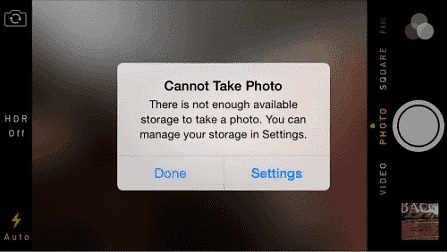 To get rid of those iPhone 6s camera problems, you have no means but to manage the storage. 1. Go to Settings > General > Usage to check the storage usage and elete large unwanted apps & files. 2. Clean the history, cookies, caches. 3. Photos, music, videos, iBooks always take much storage space. Transfer them to computer to leave more space on iPhone with one-click iPhone manager.